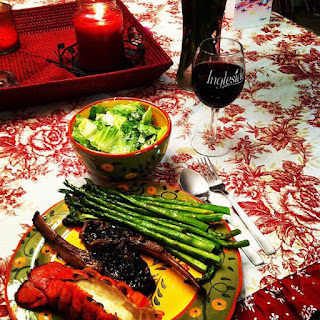 Broiled lobster tail, roasted asparagus, lamp with a balsamic reduction and Caesar salad. And here is the card that my Little Buddy "made" for me. And yes, I did get teary-eyed when I read it! I really do have the best husband in the world! 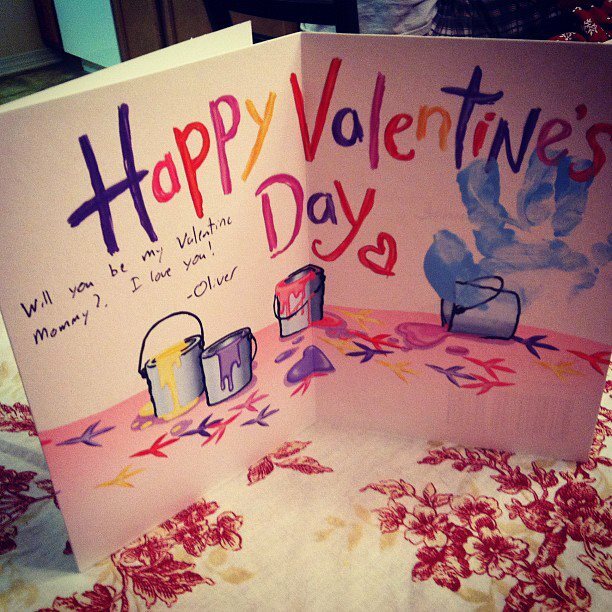 He took the time to do this with Oliver. So sweet!